Monday to Sunday 6.30pm to 9.30pm. Smart Casual – no trainers or sportswear. 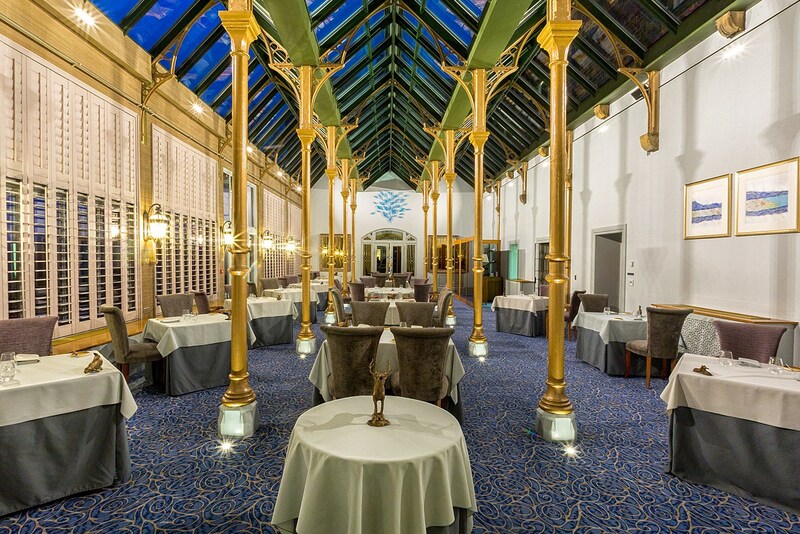 No visit to Rockliffe Hall is complete without experiencing the flagship 4AA rosette Orangery restaurant, set in the charming 18th century Old Hall. Celebrated chef Richard Allen has a passion for premium ingredients that look good, taste good and that are good for you. That’s not to say we won’t indulge you a little too! Each night Richard will take you on a unique journey of textures, temperatures and tastes with his carefully crafted a la carte and tasting menu experiences, bespoke to any dietary requirements, where every dish tells its own story. 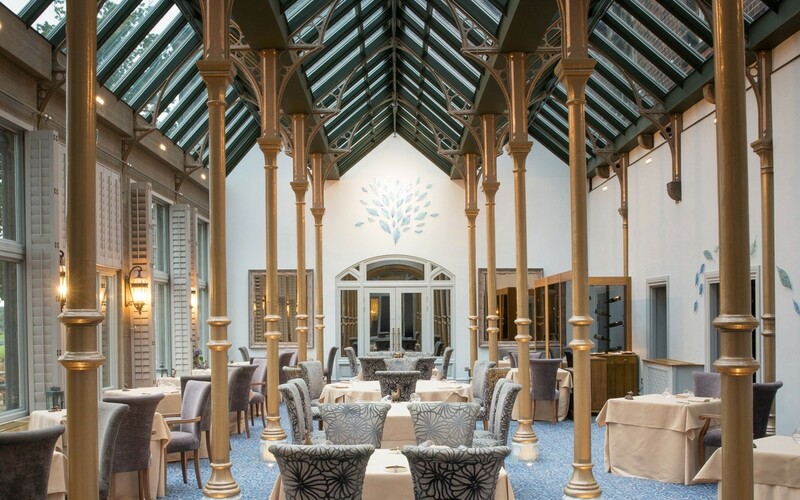 We ate in the orangery as part of a overnight package. We upgraded from the al a carte menu to the tasting menu for only a £10.00 supplement. Then food was fantastic, as good as our recent meals in both Peace and Loaf and House of Tides. Outstanding food and service. Would highly recommend. Rooms are lovely and comfortable. What a fabulous trip! Service - 2nd to none. Room fantastic! Spa experience, perfect. 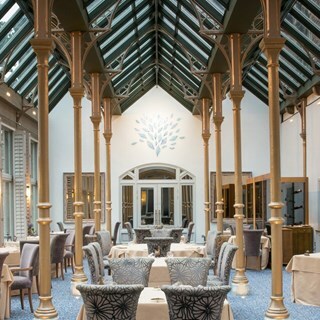 Orangery, beautiful setting, beautiful food. Lovely restaurant with good food. A first-class dining experience and fantastic service from Liam and staff - friendly, attentive and entertaining. would highly recommend. We would likely return with friends as we had a great experience. Staff are suberb, every one was friendly and gave great service. Food was delicious. Portions on the small side. Drinks are a tad expensive. The restaurant is lovely. Took the 10 course tasting menu. Memorable meal on the whole. Imaginative cooking, beautifully presented. Two slight disappointments:  bread offered was very mundane, cheese course was neither here nor there, but other than that - brilliant! My wife and I enjoyed the 10 course tasting menu and it was incredible. The wine pairing was beautifully matched and the Somelier was great too. Overall a 10/10 experience. The setting at the clubhouse is lovely as you are surrounded by the Golf Course. The only criticism I would give is that I went to Rockliffe Hall a few years ago for the Afternoon tea and it was presented much better as it all came out on one tray instead of individual courses therefore you could pick and choose what you want. Scones were slightly dry but the cakes and sandwhiches were gorgeous! Very good service from excellent staff. We were only offered 6.30pm table and yet weren’t seated until 7.00pm. The food was ok but we weren’t offered any additional vegetables. The service was extremely slow and we were half an hour late for our booked car. The coffee was cold and served with cold milk. No hot milk offered. This was a special anniversary meal and we would not recommend this restaurant. Another very enjoyable experience, service was excellent in all areas, our upgraded room was superb and the acknowledgment of the reason for this particular visit (Wedding Anniversary) were very nice. Our first time in the Orangery since the change to Al a Carte menu was nice but we were a little surprised at portion sizes, they could have been a little larger on the basis of 3 course, the portion sizes were I believe the same as those on previous Tasting Menu, in truth I had the intermediate course as well, that plus the Amuse bouche and petit fours was certainly enough, will not anticipate larger portions next time. All round excellent. Great meal and menu with exceptional service. Tad expensive for us but glad we had the experience. Last year we had the tasting menu but this year went for the a la carte neither disappointed. Firstly the staff were excellent, in the bar before dinner, in the restaurant and the sommellier. Very attentive and informative whether about the food or the wine. The food was excellent, a good tasting experience but whilst you won't die of hunger, the portions are of a size that aren't going to blow you out either. My star reduction was for the cheese; my colleagues and I were looking forward to a nice bit of cheese at the end of the meal but the allocations of cheese were literally miniscule and there was an extra charge for it. Some mistake surely? Overall a lovely place for a special meal, but give the cheese a miss! We had a lovely evening. The service from the restaurant manager and sommelier was excellent, attentive without being intrusive, knowledgeable and engaging. The food was delicious and of good quality. The portions were on the small side but the variety of choice, flavours, textures and execution was superb. The ambience and decor were lovely, understated elegance, warm, inviting and comfortable. This wasn’t our first visit and won’t be our last. Well done to the team at Rockliffe and thank you. We recently stayed and had an amazing time, their attention to detail was second to none, room delightful, views lovely and brilliant spa, cannot praise them enough. This is the best hotel in the north of England and one of the best in the country well done Rockliffe. The restaurant was very uninviteing its large and was empty and totally lacked atmosphere.